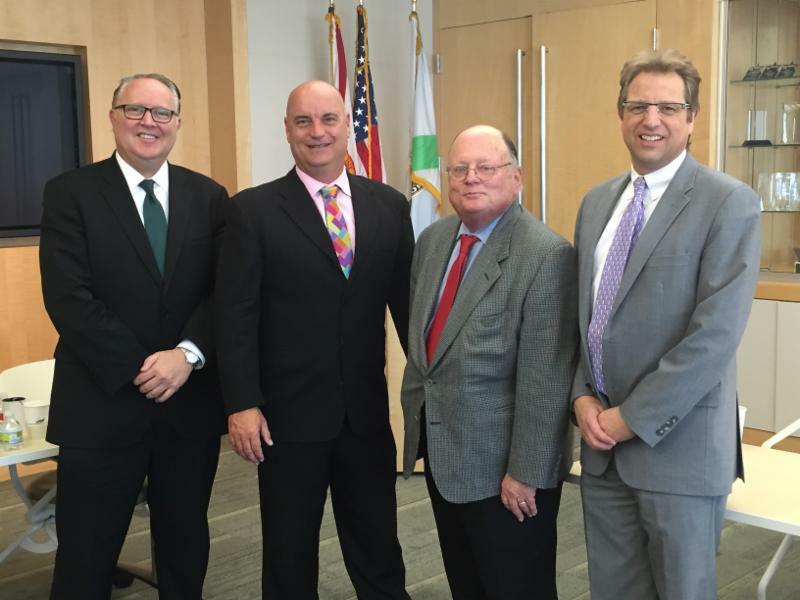 The Beacon Council Economic Roundtable Panel discussion on Feb. 17 focused on global, U.S., Florida and local Miami-Dade trends for economic growth as a way to inform decision-making. The event focused on the global economy – including some of the mega-trends that are currently impacting economies. Those include commercial and industrial real estate but also residential, employment and Trade & Logistics – one of our more specific business drivers. Panelist included: Dr. Tony Villamil, Principal, The Washington Economics Group; Tony Graziano, MAI, CRE, FRICS, Senior Managing Director-Miami, Integra Realty Resources; Eric Olafson, Cargo Development and Foreign Trade Zone 281, Port Miami; and Dr. Jaap Donath, Senior Vice President for Research & Strategic Planning at The Beacon Council. Larry K. Williams, President & CEO of The Beacon Council moderated the panel. On Feb. 18, in support of The Beacon Council’s One Community One Goal strategy to grow target industries, the Beacon Council’s Technology Committee, co-chaired by Nelson Fonseca of Medina Capital and Kevin Levy of GrayRobinson, hosted a Technology Innovation Exchange session focused on the Healthcare industry. 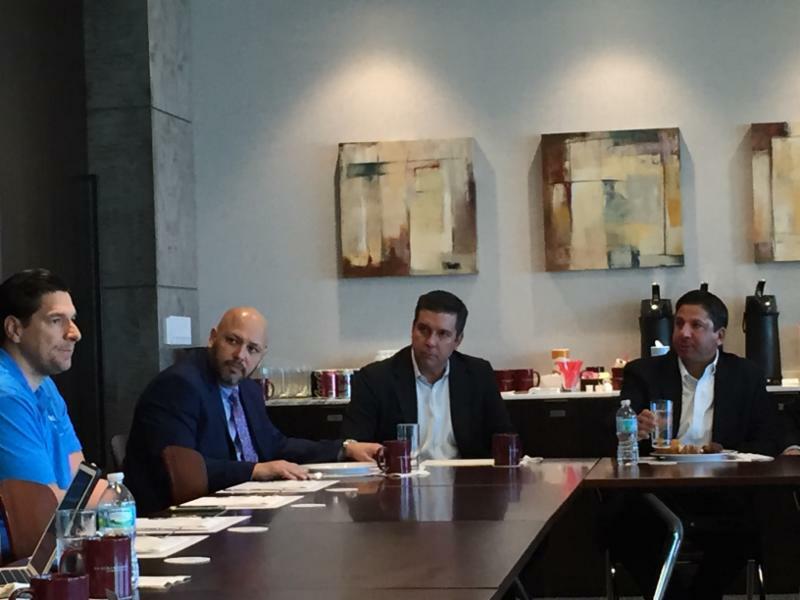 This roundtable meeting brought together the CEOs and CIOs of some of Miami’s leading healthcare companies with local emerging healthcare IT entrepreneurs. The goal was to discuss the opportunities and challenges facing companies in the healthcare sector and provide the opportunity for established companies and health-IT startups to learn from each other. Technological breakthroughs, regulatory environments and partnership building were key topics shared and discussed at this innovation exchange meeting. Startups learned how best to approach and work with larger companies and the larger companies previewed technology that can increase efficiencies in work flow and business model. The preliminary 2014-15 school performance grades for the Miami-Dade Public School System showed that Miami-Dade County has a higher percentage of “A” rated schools than many other public school systems in Florida. The Miami-Dade Public School System is the fourth largest school system in the United States and considered one of the top public school systems in the United States, evidenced by being awarded the Broad Prize in 2012. The community has put a lot of emphasis on education in order to create a world-class workforce for existing companies and those that are looking to establish operations in Miami-Dade County. The Miami Business Profile & Location Guide provides information on how to properly go about setting up or expanding your business. The Talent Development Network is working to speed up the process of hiring an intern. Recently a new marketing internship was posted and 19 students applied within one hour of being notified. This level of success would not have been possible without the collaboration and continued support from our partners, stakeholders, and community leaders. The Talent Development Network is committed to improving the connection between students and employers in our community. Go to TDN Miami.com to learn more. 24 percent of U.S. tech and engineering companies created from 2008 to 2012 have an immigrant founder, according to the Kauffman Foundation. 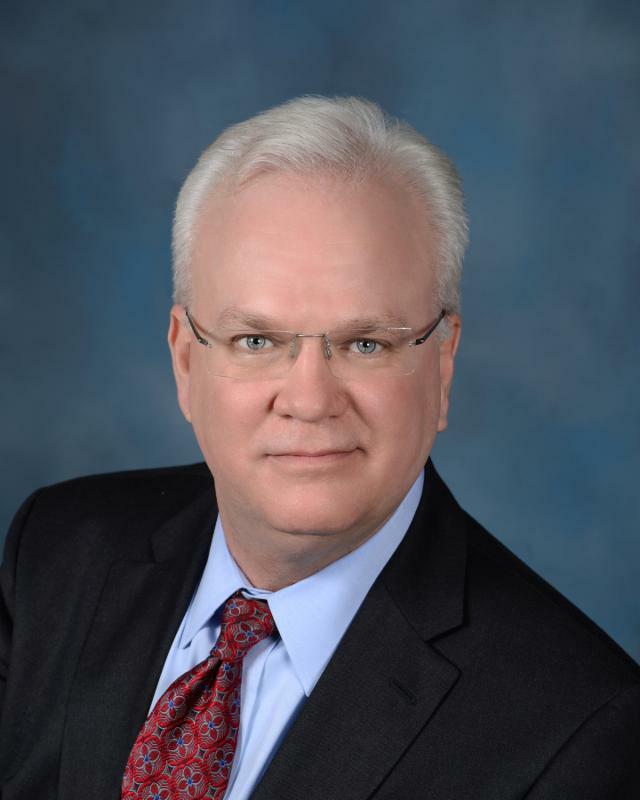 The Miami Herald Business Monday featured a Q&A with Beacon Council’s Larry K. Williams. Life Sciences South Florida is providing a webinar on Tuesday, from 2-3 p.m.
RSVP to Alexina at aealonso@fiu.edu by today. The Global Service Jam is a 48-hour event where people come together in cities around the world to create and prototype new services and products that make a difference. Join people across the world by participating in the Miami chapter of the Global Service Jam and learn skills used by Apple, IBM, and other top-notch companies to drive innovation, delight customers, and reduce risk and project costs. 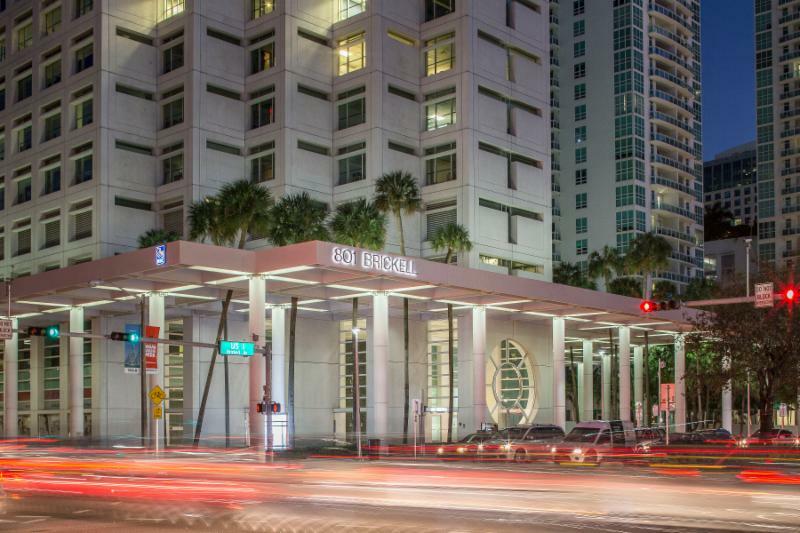 Brickell City Centre Provides "First Peek" Tour Could Miami Be The New Hub For Black Entrepreneurs?